Sharon Rowe is the founder and CEO of Eco-Bags Products, most commonly known as ECOBAGS®. 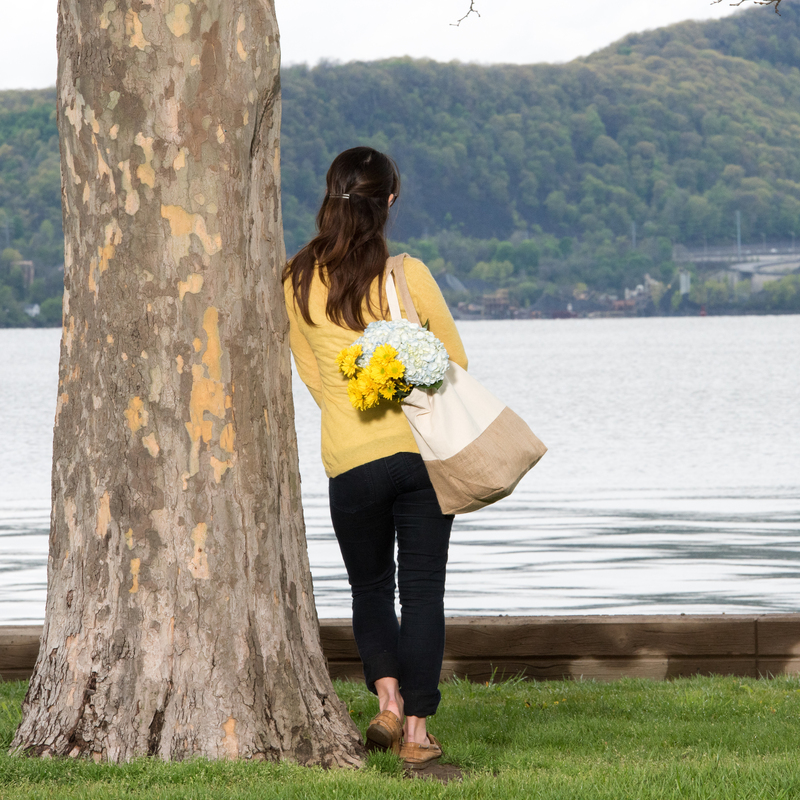 Just as the name suggests, Sharon’s company offers a vast array of bags that are made with the health of our planet in mind. I had the opportunity to chat with Sharon about her morning routine, her upcoming book, and how her company started nearly 30 years ago. I felt good this morning. I felt relaxed. We had a big storm last night so all the humidity got taken out. It was really nice. My husband had to sleep with my dog since she was so scared. She thinks the monsters are going to come and take her owners which means she won’t be fed, so she has that amount of reasoning. What do you like most about mornings? I like the quiet. I’m not a morning person, so I like to wake up slowly. I’ve been doing a lot of writing. I actually have a book deal. I set two alarms, and I set them at different times every day so I don’t get stuck in any rut. So, it’s not like I wake up at 6am everyday. Sometimes I wake up at 6:05, and then I have the second option of 6:17. I vary it from day to day. I always give myself the option to go back to sleep, which is different than snooze because that’s a set amount of time. I’m setting up random patterns, and it keeps my brain more flexible. I have one egg, but the way I cook it is very specific. I use olive oil, turmeric, fresh ground pepper, and salt. And then I heat that up in a pan and put the egg into it and fry it. I have that with one or two pieces of sourdough bread. My husband’s a baker, so it’s fresh, homemade sourdough bread made with King Arthur flour. On the toast, I put olive oil and freshly cut tomatoes because it’s Summer and we can actually taste what a tomato tastes like! And coffee. I also start the morning with a big glass of water with lemon juice. When was the best sleep you’ve ever had? We go to this dance retreat in the woods. We sleep in tents but we’re on mattresses. The canvas tents are open on both sides. There’s a lot of airflow, and we have a mosquito net. That’s where I sleep the best. On the floor in an airport in Mombasa, Kenya. We were waiting for our 6 o’clock flight and had to sleepover. If you could change one thing about your bedroom, what would it be? I can’t do this, but if I could I would open up a whole wall to be a window. Instead of just a windowframe, I would have a whole panoramic wall. And then I would move the house to the ocean. 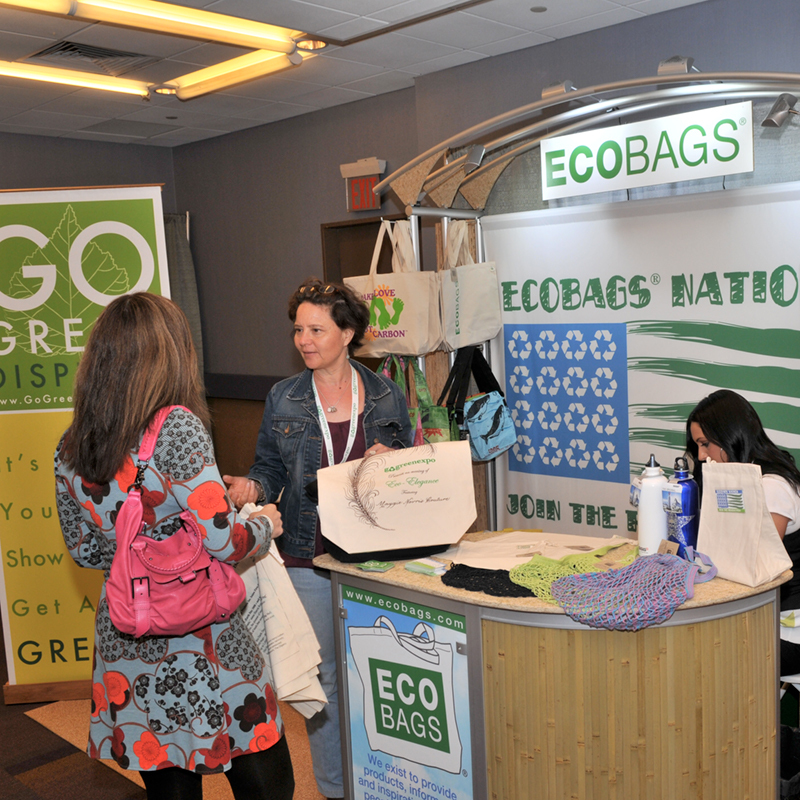 What inspired you to start ECOBAGS®? What inspired me to start ECOBAGS® was actually a few things, and that’s what I’m writing my book about. 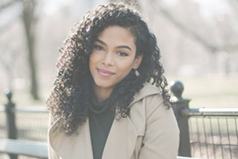 It’s called The Magic of Tiny Business, and it’s all about having an idea, getting started, and putting something in place, and knowing that you can make a change and make a living. Were you always interested in the environment? Not as a focal point. I enjoyed being outside. I grew up very active, skiing and hiking and whatnot. I have this deep set value that all people should have access to clean air and clean water as a basic need. It just offended me on a personal level to see all this garbage. Just the way people were with something that’s disposable. If it’s for free, it just gets tossed. Back then, 30 years ago, no one was talking about the cost of that garbage and waste. I just did a run on how many ECOBAGS® we’ve sold and it’s in the millions. It’s about changing the mindset of people and how you shop. You can procure things and bring them into your home without creating all that packaging and shopping bag waste. Sharon founded ECOBAGS in 1989. Here she's pictured with her parents at one of her first trade shows. 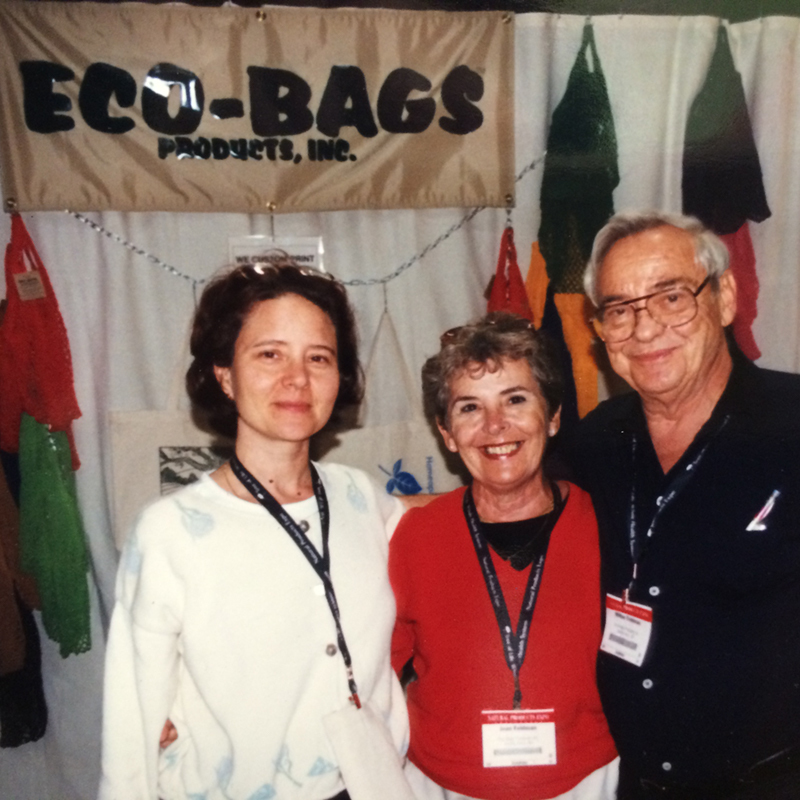 ECOBAGS has evolved a great deal since 1989, but Sharon still works hard to personally introduce her products. Your company started in 1989 with the goal of offering reusable bags that would promote and encourage an eco-friendly lifestyle. What type of a reaction did you get from people at first? The concept of reusables wasn’t super popular in the late 80’s and early 90’s. At first people were like, “huh?” And then they were like, “oooh.” And then they were like, “cool.” And then they started doing it and realized other people were doing it, and then people in line were the odd ones out. There was momentum there, but the momentum didn’t really happen or tip until 17 years in. We were just really persistent. We were in a lot of stores, and we were even international at that point, but it still hadn’t taken off as a concept until about 2007. It’s kind of like a wave. The wave would come in and there would be a lot of interest, and then the wave would go out, and then the wave would come in and there would be more interest, and then it would go out. I think there is more interest now on a genuine level instead of it just being a fad. This is not a fad or a trend—it’s a lifestyle choice. It’s a perspective. And then it becomes a practice and a way of being. What gets me about American culture is that we work really hard and then we throw it all away. It doesn’t make any sense. We’d love to avoid plastic as well, but it’s just not currently possible when dealing with large products like mattresses and bedding items. These products are expensive and need to be protected. I’ve seen companies with small items, such as toothbrushes, use plant-based plastic, but it’s incredibly expensive and not sustainable when handling larger items. It’s unfortunate. There’s a place for plastic in this culture, just not as much, and hopefully soon compostable plastic. The compostable plastics for awhile didn’t have the flexibility, and they’re getting better at that. And they also didn’t have longevity so they would crackle, but that’s getting way better. My thinking on it is we can break the market with compostable plastics in about five years. As soon as the demand goes up, the price goes down. Tell me about the various types of bags you all offer. We try to offer a durable option to replace any single-use item. We started with the string bags, our signature product that we brought over from Europe in the beginning because they were used in Europe for generations. They can be used for general shopping, going to the beach, produce, whatever. And then we have the canvas bags that we can imprint, and we do a lot of imprinting for brands and events. And we have bread bags and produce bags. Our produce bags, which are very simple drawstring bags, you can get from us with a little design on them already so they’re pretty when you use them. We also get a lot of crafters buying those bags and using them for their craft supplies. It’s an organizational bag. It allows you to separate items and to keep plastic out of the picture as much as possible. What’s key about all of our products is that we’ve had a clean supply chain since we started in 1989. What that means is we’ve always looked at the production of the goods and made sure it met fair wage and fair labor standards, and also we do a lot with certified organic cotton and recycled cotton for the least amount of impact on the environment. There’s a lot of companies coming out and saying how transparency is radical. We’ve been radical for 30 years. I saw that the organic cotton that you use is GOTS-certified. Savvy Rest also carries GOTS-certified products as well. Can you tell me more about your organic products? [GOTS] is for people who care about the whole supply chain, and I think it’s essential for mattresses and things like that. I’ve actually been to the cooperatives we use in India [for our organic cotton]. It’s a fantastic trip. And it’s interesting too because a lot of the [farms] that are doing organic didn’t have to transition. They just didn’t leave organic. When we started, GMO wasn’t on the scene, but so many farmers moved over to GMO, and now they’re trying to transition back. We work with a lot of farming cooperatives that stayed with how they’ve always [grown cotton], and then got all the certifications. Some of your bags are made with recycled cotton. Can you tell me about that material? The recycled cotton is post-industrial. It’s not like we’re getting textiles off the street, bringing them in, and then recycling them. What happens in fiber production is the shorter fibers are pulled out. I guess they’re of less value. They get pulled aside and that’s called “the recycled,” and then they’re woven together to make longer fibers. What is your favorite bag in your store? I like the string bags because that was our signature product. I just think they’re so cool. You can roll them up and take them anywhere. And they’re perfect for the beach because they have holes in them so you can’t bring all the sand. Also, you can only carry so much in them. There’s something about choosing the right things and bringing them home and having that sense of abundance as supposed to over-filling with more things that you don’t want, and then having a sense of waste. Like Savvy Rest, your company is a certified B Corp. How long have you all been a B Corp, and what does this certification mean to you? We’ve been a B Corp for I think 8 or 9 years. I think it matters a lot. Because they aggregate all the companies who have like-values and focus, they are able to capture the attention of more people via media and business networks. With them we can get our message out to more people in terms of what we’re doing. We’ve been Best for the World I think three or four years in a row. That’s actually another reason why I’m writing this book. I think there’s a whole world of people out there who want to do, to use B Corp language, “business for good.” But if they’re not in business, they don’t know you exist, and they don’t know I exist. They just see the larger corporate entities, and they see the ones they like and the ones they don’t like. There’s enough momentum now that people who have these kinds of ideas need to see that there’s an opportunity to join. It’s not a closed group. The more the merrier. 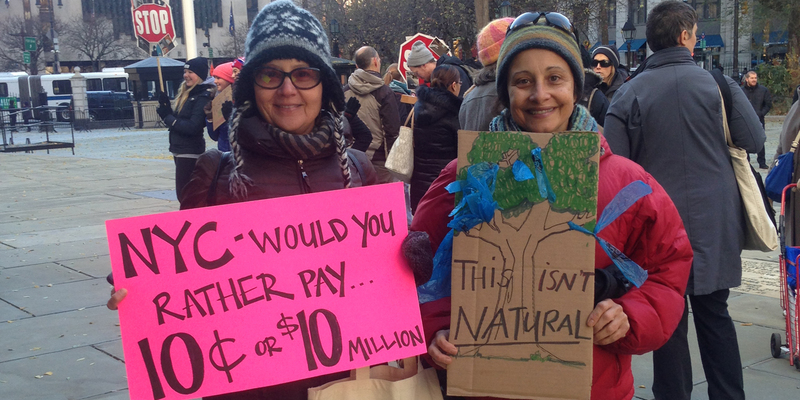 Do you all give to nonprofits you’re passionate about or participate in any community events? All the time. We’re right on the Hudson River, and I’m on the Board of Directors of the Clearwater Organization, that’s Pete Seeger's group that started cleaning up the Hudson River. But Clearwater, Riverkeeper, Sierra Club...we also give to some non-environmental [causes] like the ACLU, just things that we think are important. 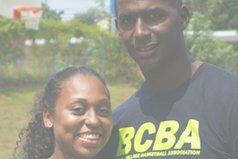 We do a fair amount of supporting nonprofits, not just with donations but in-kind and also promoting what they’re doing. 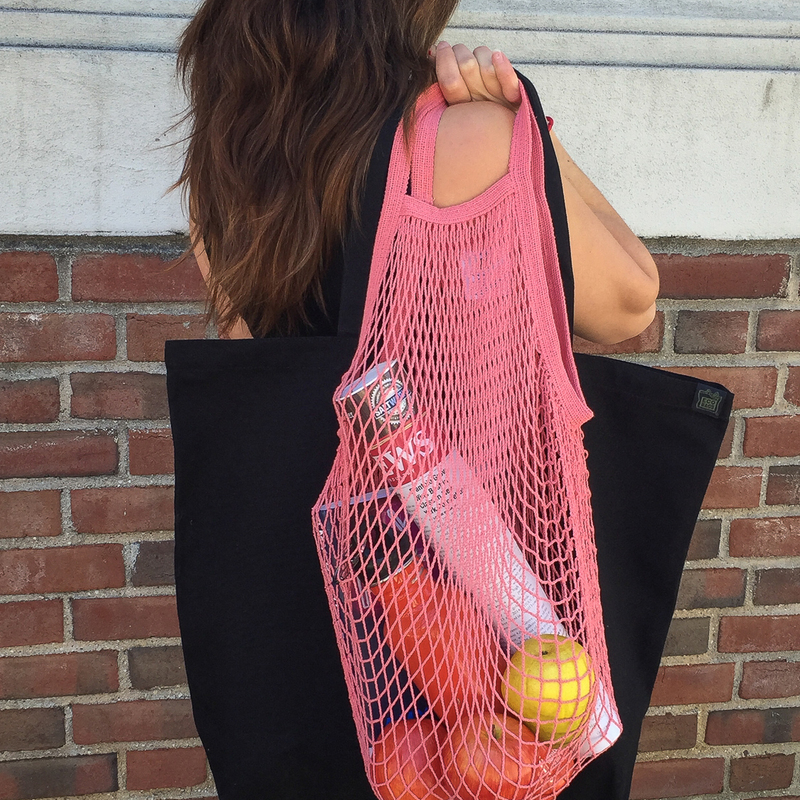 Besides purchasing reusable bags, what are some other simple changes that make a big difference? Don’t use single-use straws. If you’re having an adult beverage, no twizzler! Think of all the little plastic things that don’t go away and are wasteful. And also kind of put a kibosh on balloons—sorry, but they’re not great. No single packaged fruit. Use your own water bottle. And absolutely no styrofoam. And walk or bike to work, or get an electric vehicle if you can. I mean, there are a million things now. What’s really interesting is to challenge yourself to be waste free, first for a day, then for three days, then for a week. You can’t be 100%. Nobody can, but make a note of all the different things that interrupt [your waste free challenge] and cause you to think. Make sure to follow ECOBAGS® on Instagram. Sharon’s book, The Magic of Tiny Business, is due Spring 2018. A Savvy Rest production specialist who volunteers constantly in the community received an unexpected award. 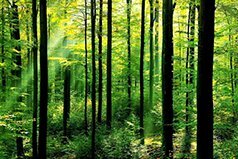 To celebrate Savvy Rest's 5,000th tree donation, we interviewed Lea Sloan of American Forests.